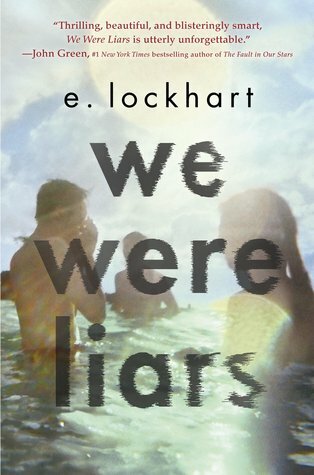 We Were Liars is one of those hyped books that I’ve somehow managed to completely miss. I’ve seen it around, of course, but I never read a review or even checked out the blurb. A bookish friend recommended me to read it, and advised me not to look anything up about the book so I wouldn’t get spoiled in any way. So I went into We Were Liars blank. And since I now completely agree with her, I won’t give a summary of the plot. You will really want to find out for yourself what’s going on, or the book is ruined. You can only speak in the most general terms about this book; there is a rich family, who spend their summers on an island close to Martha’s Vineyard. Enter family drama and one teenage girl in the middle of everything. Although I understand the author’s decision, I didn’t like the fragmented writing. While the premise is pretty intriguing, I kept putting the book down every few pages. The writing just didn’t sit well with me, it didn’t invite me to keep on reading, it seemed to spiral in on itself without pushing me in a forward direction. Even though the story is so short and so quick, the first thirty percent felt slow to me. Metaphors that were meant to convey lyricism and deep feeling felt odd and out of place, and especially the few that were repeated plenty of times throughout the story irked me. If I see “bleeding all over him” one more time, I’m going to cry. I’m a visual person, so I see the main character literally bleeding all over someone. And this is not appealing for me. Even though I understand that the author means crying, I keep picturing Carrie post-prom. The twist was good. I never fully connected with the characters, but I didn’t exactly see that one coming. The sense of foreboding is aroused by other characters clearly knowing more than the reader and the main character, but it never fully hit me, and there was no emotional impact, but rather a “oh. cool”. I think my entire reading experience of We Were Liars is marked by my emotional disinterest. I quite enjoyed the story, and thought about it some time after I finished it, but it didn’t evoke any particular feelings. We Were Liars is a good book, short, and intense. It has blown away plenty of readers, and I think it will do so with many more.